We have just uploaded our 24th profile from Canada, the Discharge Abstract Database (DAD). Originally developed in 1963, DAD captures administrative, clinical and demographic information on hospital discharges (including deaths, sign-outs and transfers). 2/26/19: 300 Healthcare database profiles! We would like to invite our subscribers to visit our 299th, 300th healthcare database profiles. It has taken us many years to reach this mark and we couldn’t do it without the help from all the database managers and their staff. Thank you! The AACR Project Genomics, Evidence, Neoplasia, Information, Exchange (GENIE) is a multiphase, multi-year, international data-sharing project launched in November 2015. It aims to catalyze precision cancer medicine. The goal of the GENIE platform is to integrate and link clinical-grade cancer genomic data with clinical outcome data for tens of thousands of cancer patients. 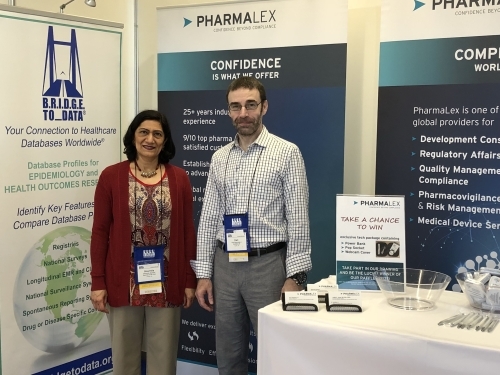 We are here at Booth #32 in Prague at the International Conference on Pharmacoepidemiology. Stop by for a demo and conduct your own search! CancerMPact® is an international cancer registry that includes published epidemiology studies in the USA, Japan, and Western Europe. Cancer patient data are obtained from clinician surveys. This resource is composed of web-based integrated modules: Patient Metrics (Patient Metrics – G7, Patient Metrics – China, Patient Metrics – Expanded Markets and Biomarker Analysis) and Treatment Practices and Evolution (Treatment Architecture and Future Trends and Insights). 12/20/17: Holiday Greetings from B.R.I.D.G.E. TO DATA!